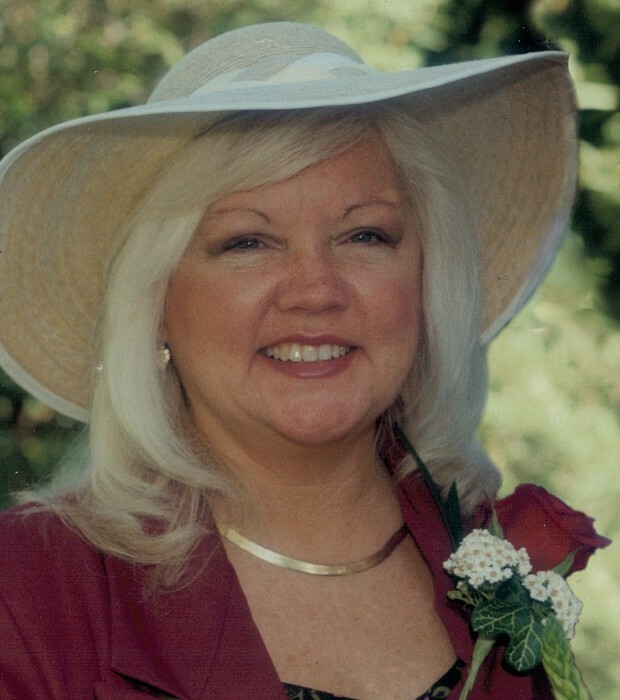 On February 1, 2019, our daughter, mother and grandmother, Vicki Jean Smith, passed away suddenly and unexpectedly of natural causes. Vicki was the only child of Juanita and Max, born April 13th, 1951, in Wichita Falls, TX. She often referred to herself cheerfully as an ‘army brat’, having lived in seven states before she graduated High School in 1969, from Desert High School at Edwards AFB in CA. There she enjoyed being a cheerleader and was voted homecoming queen. From this early AFB life experience grew her love for veterans and her honor of all things military. Her adventurous spirit lead her to train with the airlines in the early 70’s; she always loved to travel and see new areas of the world. She ended up marrying and having both of her children in her 20’s, choosing to be a stay at home mom for several years. In the late 80’s she decided entrepreneurship was for her, she sought business training and developed her own association management company. She served as the Executive Director for her clients which included the Professional Insurance Association of Idaho, and the Idaho, Wyoming, Utah and Alaska, Veterinary Medical Associations, which she successfully managed for over 30 years. Vicki volunteered in many professional groups, served on several boards and was President of the American Society of Veterinary Medical Association Executives and the Idaho Society of Association Executives. Vicki retired only two short years ago, leaving behind an industry she loved and colleagues she respected for her interests in travel, grandchildren and time with her mother…she fully intended to live a long, full life. Our mom had amazingly varying interests and hobbies. She loved her grandkids, enjoying spending time with them as they grew older. Swimming in her pool together (‘Lake G-Ma’) and playing with her goats, are among some fond memories from the grandchildren. She tried to make every basketball, baseball, hockey tournament or musical show that she could, always cheering the children along. She enjoyed cruising, and traveling - to Mexico in particular - many times taking her mother with her in her later years, to enjoy her company. She loved gardening and canning and was an excellent seamstress (even sewing her wedding dress and the tuxedo!). Later in life she became a certified scuba diver, learned to downhill ski, and rode a beautiful turquoise Harley Davidson motorcycle. She was a huge Boise State University football fan, and cheered on the Boise Hawks baseball team for years. As kids we enjoyed sweet little moments like snuggling on the couch in our matching PJs while eating ice cream (in the winter! )…playing in the park after chores were done on Saturdays…and had fun singing in the car on the way to the hot springs. She instilled in us a strong sense of independence, work ethic and patriotism. She is preceded in death by her father, Max Weldon Smith. Survivors include her mother, Juanita Ann Smith (McCarty); her daughter, Stacee Daniel (Howell) and her husband Chris, their children Ellison and Reagan; and her son, Jared Buff and his wife Moriah, and their child, Aidan Buff. Mom lived a full, but shortened life. She will be missed greatly by all who loved her. If anyone would like to make a donation in her honor, please do so to a charity of your choice. She had a particular fondness for veterinary or veteran related charities. Vicki's family will be hosting a casual celebration of life get together, Saturday, April 20th, 1:30-4:00pm. We warmly welcome any friends, colleagues and family to attend. There will be an opportunity to visit with her family, view photos and say a few words or share a story, if you would like. We are trying to arrange a video option should you like to privately record any thoughts or stories for her grandchildren. Mostly, we would love to see you and hear how you met mom, enjoy a silly story, or learn how she made a difference in your life. There will not be formal funeral services, as that wasn’t what our mom would have enjoyed; we believe she would have appreciated an upbeat remembrance if possible. The gathering will be held in the Penthouse (7th floor) of the Owyhee Plaza building in downtown Boise, on a flow basis. (Street parking is free on Saturday, and the Owyhee has paid parking by the hour on site.) If possible, please drop Stacee a note to let us know if you’re able to come and the number of people expected (sdaniel@matrixamc.com). A formal RSVP is not required but letting us know you plan to attend would be helpful. We will have some light food and beverages, a private cash bar will be available...We’re hoping to give a toast to mom around 3pm, overlooking the beautiful city in which she raised us.